Micro Abrasives was founded in July of 1957 born from an idea of Asher Nesin to produce a new type of buffing powder for the automotive and flatware industry. Joining with his brother Noah Nesin and friend Edward Andreski this concept became reality. 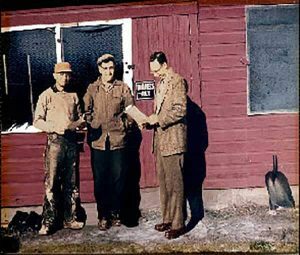 From their humble beginnings in the family chicken coop the three developed a corporation that is now known around the globe for their micronization of particles. Over the years the company has managed to not only survive but thrive in the world of fine powders production. 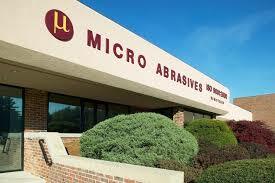 Micro Abrasives has found its way into a diverse group of markets over the past 60 years. The combination of diverse markets and global sales has been the foundation of their success. Today Micro Abrasives has grown from the chicken coop to over 130,000 square feet of powders production and employing approximately 60 employees. They control operations in Westfield, Louisiana and Germany which supplies a wide range of products for multiple industries such as; buffing, optics, laminates, paints, industrial lapping, wear products, ceramics, car polishing, semiconductor lapping, piezoelectrics finishing and many more. Under the direction of CEO and President Robert Nesin Micro Abrasives has grown to become a true market leader in the world of specialty fine alumina powders with the capacity of producing 10,000 tons a year.